extremely short (<1"), making the plant look almost like a self-header. Oddly, for a Philodendron, it seems happiest at cooler temperatures. Tropica and labelled P. Santa Leopoldina are, in fact, P. spiritus-sancti. > extremely short (<1"), making the plant look almost like a self-header. > Oddly, for a Philodendron, it seems happiest at cooler temperatures. > Tropica and labelled P. Santa Leopoldina are, in fact, P. spiritus-sancti. not "bleed" onto the lamina itself. leaves possess and almost patent leather finish. ID site when the weather clears a bit. Date: Mi?rcoles, 04 de Octubre de 2000 12:38 p.m.
>To: "Multiple recipients of list AROID-L"
>> extremely short (<1"), making the plant look almost like a self-header. >> Oddly, for a Philodendron, it seems happiest at cooler temperatures. 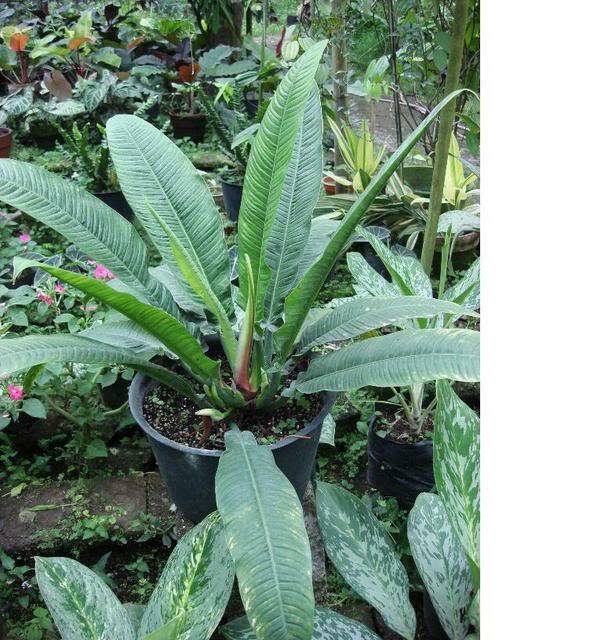 >> Tropica and labelled P. Santa Leopoldina are, in fact, P.
are you growing in. We were set to sell another piece of the P.
not a high enough number.) Sorry to be so wordy. > To: "Multiple recipients of list AROID-L"
> > extremely short (<1"), making the plant look almost like a self-header. > > Oddly, for a Philodendron, it seems happiest at cooler temperatures. > > Tropica and labelled P. Santa Leopoldina are, in fact, P. spiritus-sancti. > > PLEASE BE GENTLE. Brazil, so there is more to this story! Save your pennies for next years auction, friends! 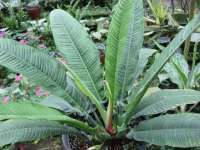 > > Tropica and labelled P. Santa Leopoldina are, in fact, P.
this information and/or a photo I'd appreciate the assist. I found a photo in my files of theinflorescence of Philodendron spiritus-sancti. I normally filethese with the name of the person that sent the photo but this one onlyhas the name of the plant. I'm not even certain this is P.spiritus-sancti but would like to ask if any of you sent this? I'dlike to use the photo on my site with credit to the owner but need toknow who took it! I have the same problem, I don't know who sent to me (who took) these photos of Ph. campii. I found a photo in my files of the inflorescence of Philodendron spiritus-sancti. I normally file these with the name of the person that sent the photo but this one only has the name of the plant. I'm not even certain this is P. spiritus-sancti but would like to ask if any of you sent this? I'd like to use the photo on my site with credit to the owner but need to know who took it! Nie znaleziono wirusa w tej wiadomosci przychodzacej. Dear Marek: I don’t know who’spictures these are but the plant is Philodendron campii, not P. spiritus-sancti. I have the same problem, I don't know who sent to me(who took) these photos of Ph. campii. I found a photo inmy files of the inflorescence ofPhilodendron spiritus-sancti. 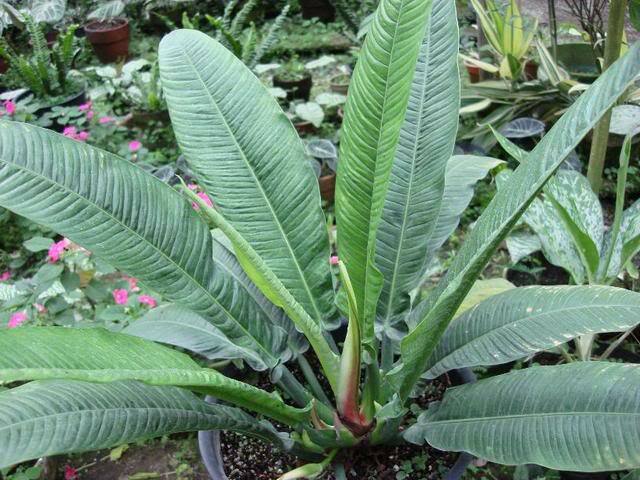 I normally file these with thename of the person that sent the photo but this one only has the name of theplant. I'm not even certain this is P.spiritus-sancti but would like to ask if any of you sent this? I'd like to use the photo on my site with credit to the owner but need to knowwho took it! Dear Marek: I don’t know who’spictures these are but the plant is Philodendron campii, not P.spiritus-sancti. I have the same problem,I don't know who sent to me(who took) these photos of Ph. campii. I found a photo inmy files of the inflorescence ofPhilodendron spiritus-sancti. I normally file these withthename of the person that sent the photo but this one only has the nameof theplant. I'm not even certain this is P.spiritus-sancti but would like to ask if any of you sentthis? I'd like to use the photo on my site with credit to the owner but needto knowwho took it! We misunderstood each other. Steve posted a photo of Ph. spiritus-sancti asking who took this photo. Dear Marek: I don�t know who�s pictures these are but the plant is Philodendron campii, not P. spiritus-sancti. You're right Marek. Since then I'vereceived some photos of the inflorescence of P. spiritus-sanctiand they are somewhat similar so I think I've got that one solved eventhough I still don't know who took or sent the original photo in myfiles. We misunderstood each other. Steveposted a photo of Ph. spiritus-sancti asking who took this photo.